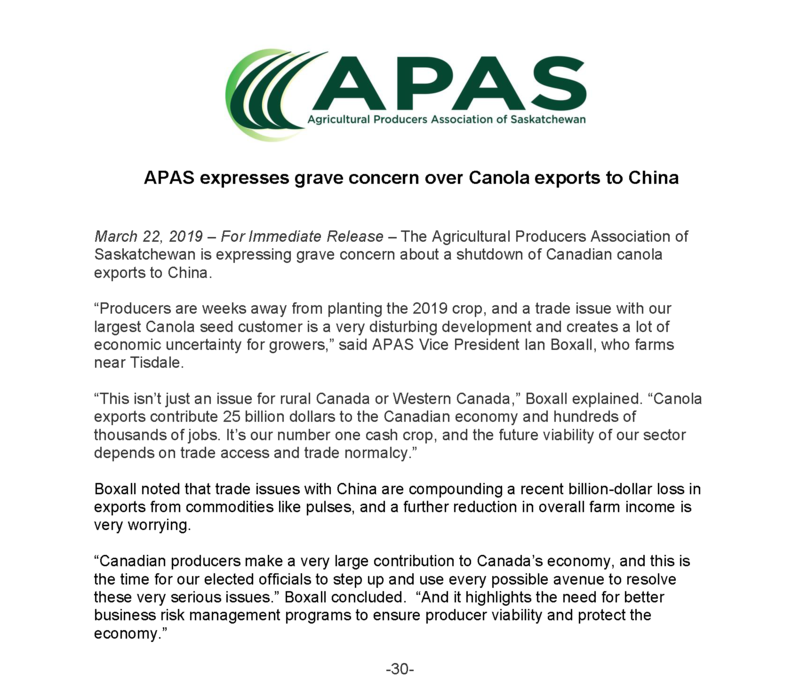 March 22, 2019 – For Immediate Release – The Agricultural Producers Association of Saskatchewan is expressing grave concern about a shutdown of Canadian canola exports to China. “Producers are weeks away from planting the 2019 crop, and a trade issue with our largest Canola seed customer is a very disturbing development and creates a lot of economic uncertainty for growers,” said APAS Vice President Ian Boxall, who farms near Tisdale. Boxall noted that trade issues with China are compounding a recent billion-dollar loss in exports from commodities like pulses, and a further reduction in overall farm income is very worrying.